Call 918-921-5100 to schedule your first appointment. If you're looking for new, high-quality hearing aids in Tulsa, OK, discover and experience the Miracle-Ear® advantage. You can come to our location and hear for yourself how our solutions, which use the latest breakthroughs in technology, can improve your hearing and let you hear sound naturally. Our experienced specialists will help you find the right hearing aid for your lifestyle and your degree of hearing loss. Our GENIUS™ Technology incorporates new innovations to give you a more natural sound quality with your hearing aid. These hearing solutions have incredible features that will let you hear sound from any direction, will reduce wind noise, and will allow you to zero in on a particular person you want to hear. All of these features will work together seamlessly and adapt to your changing acoustic environment. The end result will be more precise hearing for you. Many of our hearing aids are equipped with rechargeable batteries, which offer improved power supply and environmental advantages. Another valuable advantage is that you won't have to deal with changing tiny batteries. Our Miracle-Ear location in Tulsa is backed by a national brand with more than 70 years of experience developing hearing solutions. Our quality products and premium service have made us America’s most recognized brand of hearing aids. Call us today or come and visit our hearing aid center to find out more and to explore the range of hearing solutions we offer. Nine out of ten people who suffer from hearing loss can be helped with hearing aids, and we're confident whichever hearing aid you choose, it will exceed your expectations. Heather Carter is married and has two daughters. She is a licensed nurse and Hearing Instrument Specialist and has worked for Miracle-Ear of Oklahoma owners, Steve and Michi Dyke since 2009. Her favorite things to do are spending time with family and watching her daughter play basketball. The thing she loves most about working for Miracle-Ear of Oklahoma is the compassion and passion of every person that works here. The consistency and quality of care seen daily with Miracle Ear of Oklahoma is beyond measure and is the very reason she decided to devote her life to helping people hear better. She believes that helping people find a higher quality of life through the gift of hearing is a privilege and blessing that she will never take for granted. Heather feels truly grateful to be a part of the Miracle Ear of Oklahoma family. Keli has four years experience as a Certified Medical Assistant, and she has worked for Miracle-Ear for over three years. 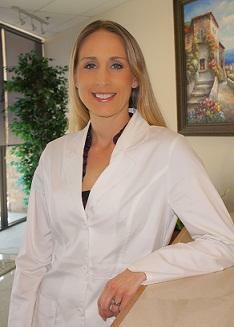 Keli is Miracle-Ear certified and a Certified Medical Assistant. 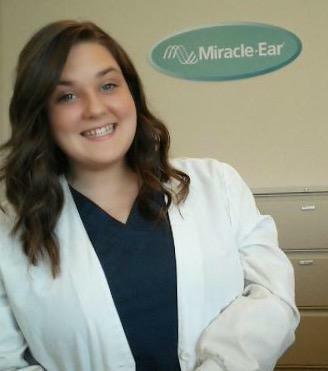 Keli's favorite part of working with Miracle-Ear is helping patients hear a better day.